Preheat the oven to 400 degree F. Preheat the grill to high heat. 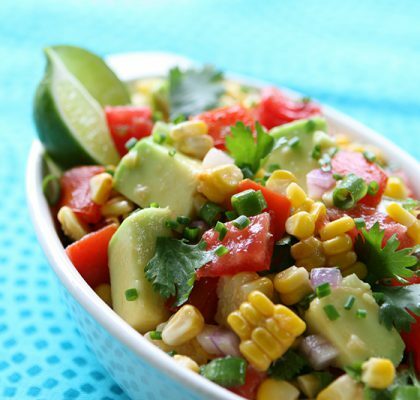 Remove the cornhusks and corn silk, and place the fresh Florida Sweet Corn, onion slices and red bell pepper on the grill. Grill the corn and bell pepper for 8-10 minutes, turning every 2 minutes until all sides are slightly charred. Grill the onion slices for approximately 3 minutes per side. 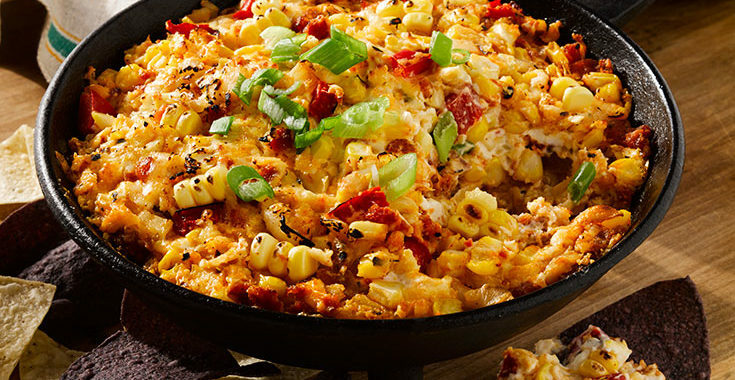 When the veggies are cool enough to handle, cut the corn off the cob. Then chop the onions and pepper, removing the pepper seeds. In an 8 X 8 inch baking dish or one-quart soufflé dish, mix all the ingredients together until well combined. 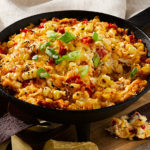 Bake for 10-15 minutes until the edges are bubbly. 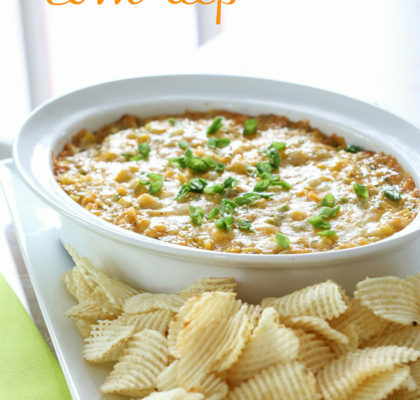 The sweetness and crunch of fresh sweet corn is the best part of this creamy, cheesy, spicy dip that is sure to fire up your next get together! 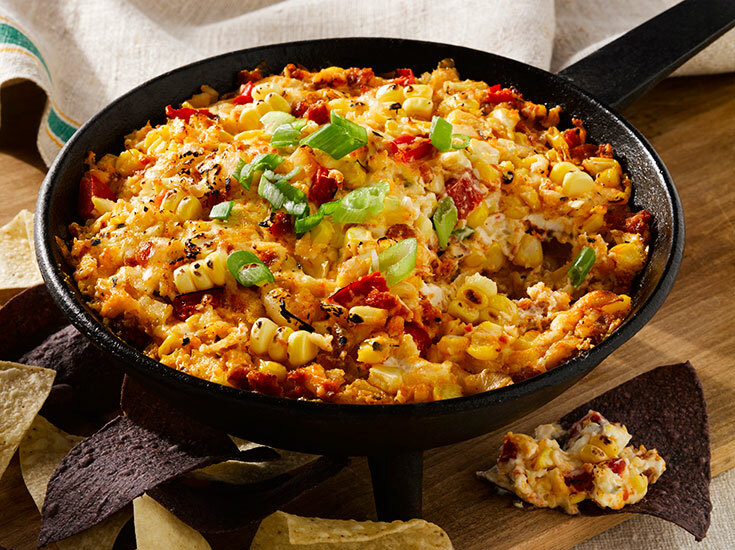 The smoky flavor of chorizo brings this dip to a whole other level and brings out the spring sweetness of Florida corn.